Nothing is better on a hot summer morning than a delicious smoothie made with fresh fruit and berries. **This post contains affiliate links. If you decide to make a purchase, I will receive a small commission after you have clicked on my link. Smoothies are a great way to use up excess fruits, vegetables, and berries or those that may be getting close to spoiling. Often I will peel and cut up fruits and berries to store in the freezer to be used later for smoothies. 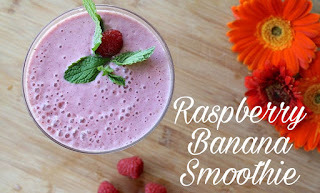 This raspberry and banana smoothie is made with simple ingredients and takes just a few minutes to prepare. The result is a creamy, healthy, and cool tasting beverage. 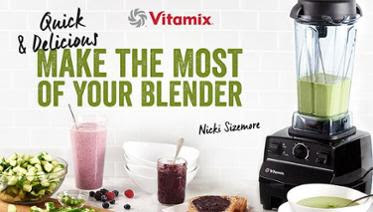 To make simply place all ingredients into a blender and blend until you get a pink and creamy mixture. 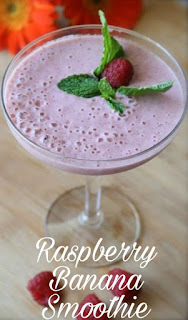 Have you tried a raspberry banana smoothie? And its easy to make! !